We are less than two months away from the return of Warrior Wrestling, returning to Chicago on Friday, March 15th with what is already shaping up to be one of the most stacked independent wrestling events of the year. The most recent match announced for Warrior IV will see All Elite Wrestling’s Britt Baker taking on the Windy City’s own AAW Women’s Champion Kylie Rae. That’s not all as “Big Momma Pump” Jordynne Grace will be in action against a true legend of women’s wrestling, TNA Knockouts legend and former WWE Women’s Champion Lisa Marie Varon (aka Victoria). 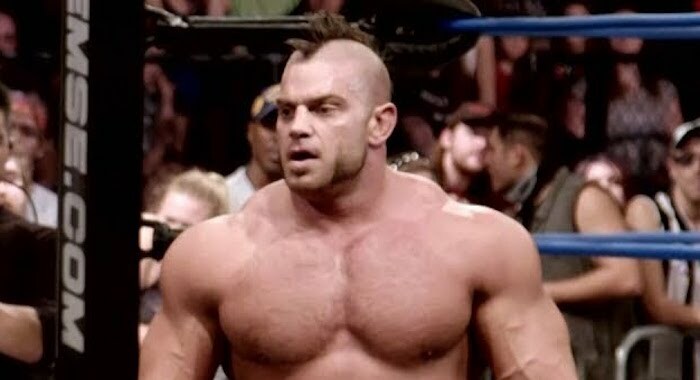 Plus, Brian Cage puts his title on the line against all THREE of Impact Wrestling’s Rascalz faction, the iconic L.A. Park in singles competition, Eddie Edwards and Austin Aries continue their bloody feud in a “pure wrestling match”, and as advertised, AEW’s SoCal Uncensored will headline in a six-man tag team match. Here’s an updated look at the match card, with new and exciting bouts being added every single week. It is expected that the show will be broadcast live on the Highspots Network, and that the Warrior Fan Fest will return for those planning on attending. We’ll keep you posted.